Sold by The Connected Home and Fulfilled by Amazon. Gift-wrap available. 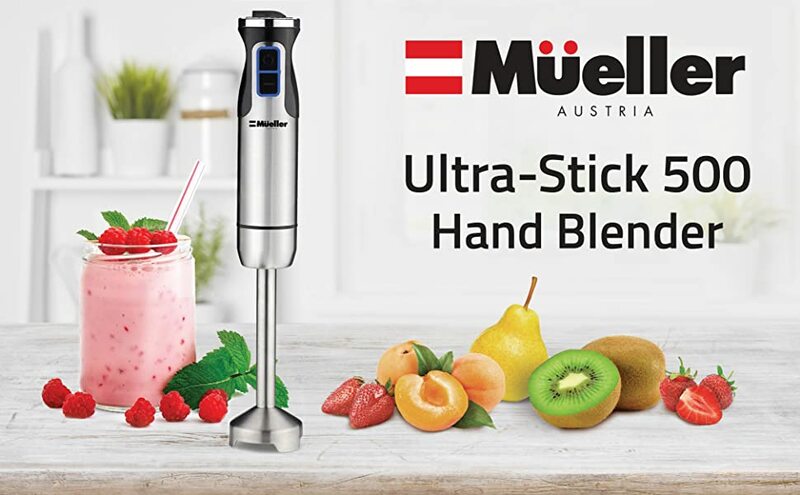 Amazon's Choice for "immersion blender"
EUROPEAN QUALITY – AMERICAN GUARANTEE - 100% 2 Year Warranty so you can buy with confidence and blend happily ever after. 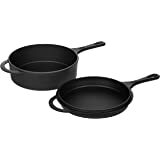 Sold by The Connected Home and ships from Amazon Fulfillment. 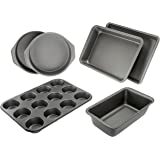 Ships from and sold by The First Ingredient Kitchen Supply Corp.. 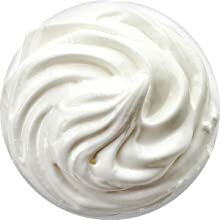 Instead of hauling out the bulky table top mixer or tiring out your wrist and arm by hand whisking, use the Ultra-Stick to quickly whip up some billowy whipped cream. This Ultra-Stick can quickly whisk a large batch of eggs or Dutch baby pancake batter. 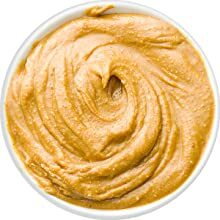 Use the Ultra-Stick to re-blend separated nut or peanut butters back into a smooth, spreadable consistency. Use the Ultra-Stick to process tomatoes, applesauce, or fruit butters. Or whip up a smooth salsa for taco or fajita night! 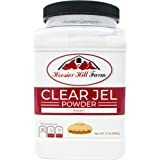 Our mission is to deliver simply superior products with real human support that improve people's lives and share our success with non-profits we love! 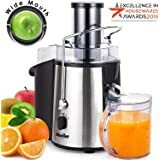 2.0 out of 5 starsNice features, specs, and value, but poorly constructed blender. 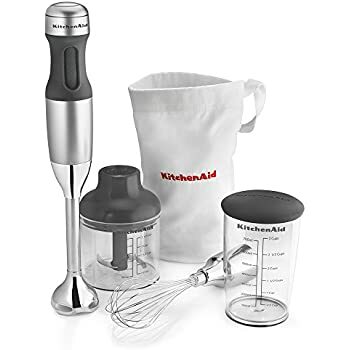 At first glance, this hand blender is a great value offering a 500-watt motor and a whisk attachment for under $30. 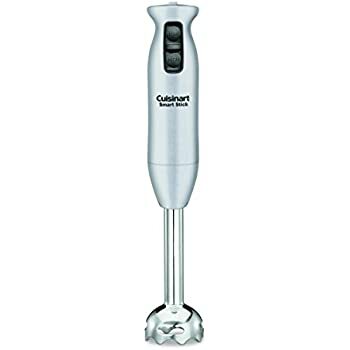 Pros: very strong motor - it felt much more powerful in my hand than my old Cuisinart 200-watt hand blender. Cons: the bearing for the blade attachment is poorly lubricated. 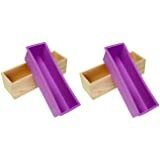 As another reviewer noticed, there is a high pitched whine when you run the blender (see the attached video). Also, the bottom of the steel shaft becomes very warm indicating excess friction. 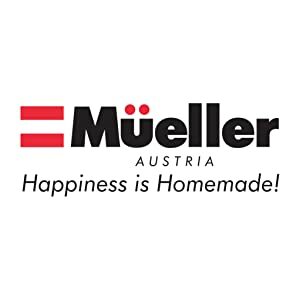 These are the same symptoms I'd heard from my Cuisinart unit near the end of its life, so the fact that this Mueller blender makes the noise right out of the box makes me really suspicious. Consensus: I decided to return this and get a KitchenAid replacement instead. 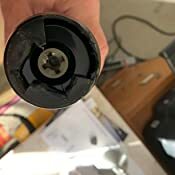 While it's less powerful, the blade makes no noise, spins freely (no heat), and appears to be better sealed against moisture penetration that ultimately causes the bearing to wear out. 1.0 out of 5 starsWarning! Choking hazard! Warning!!! After using this blender 5 times the blade came off in my drink, thankful I noticed it and didn’t choke on it. Be very cautious, blender worked great before this. 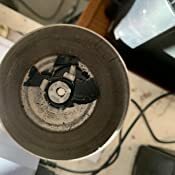 I had this blender about five weeks and then the blade fell off. 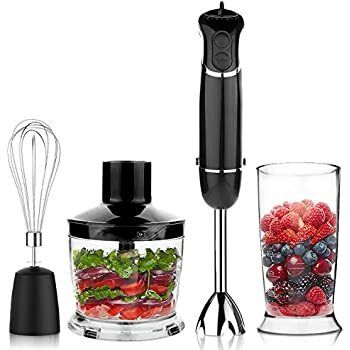 I was using it for smoothies, in which I would include some frozen berries. It worked well for a while, until it didn't. 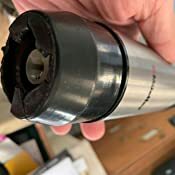 It had a lot of power and chopped up the berries very well and made great smoothies, but the blade attachment design could not sustain repeated impacts with the semi-hard berries. 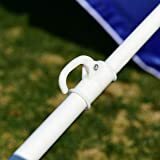 The attachment of the blade to the rotating shaft is pretty poor; the blade is attached to the end of the shaft by inserting the shaft into a hole in the center of the blade and the shaft-end is just crimped. Update: I used the replacement blade attachment for about two months and the blade fell off of that one also. In summary, the two blade attachments lasted for a total of four months. The Product Support window closed on December 5, 2018, so I guess another replacement isn't possible. 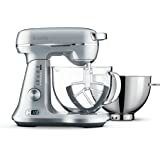 1.0 out of 5 starsExpensive hand mixer but a complete bust in quality. 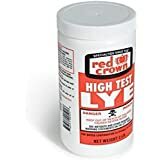 Purchased this for mixing my soap mixes. 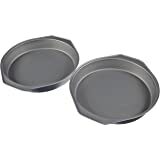 Keep in mind that when I combine the materials they have the thickness of a thick soup or pudding, and the housing NEVER touches the mixture, so there couldn't have been corrosion of any kind. I also thoroughly cleaned and put the mixer back in the box after the first use. 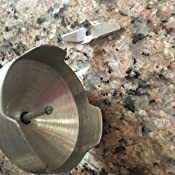 Went to use in this hand mixer the second time in a month and as soon as I started mixing the mixer fell apart, and the plastic housing that houses the gear can be seen in the pictures above. It just fell apart without any extra stress or heat. I bought this small appliance May 7, 2018. This Mueller Ultra-Stick 500 Watt 9-Speed "Zhoozher", as my daughter and now I call it, mimicking the 'zshoozshing' sound it makes while blending (spelling varies ;-) ) seems to work beautifully. 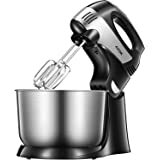 It is a hand-held immersion blender one holds inside the pot or container, moving it around the pot in circles or back and forth, in order to blend vegetables or fruit, etc. 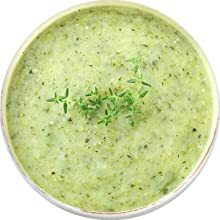 in smoothies, soup, sauces and other dishes. 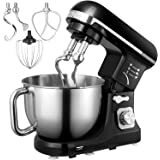 Often this is the only such appliance needed, and much more convenient than a table-top blender which is bigger, bulkier and takes up room on one's counter top. It's pretty powerful at 500 watts and blended a veggie soup I was about to cook, to soften the already cut-up vegetables. 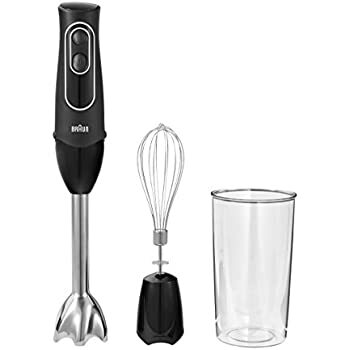 It comes with a whisk that I have yet to use, but I'm looking forward to using it to make spinach omelettes and other egg dishes. 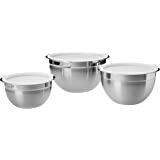 I gave this product 4 stars only because of the cord: you have to be careful with the electric cord so as not to wrap it around the bowl or your arm, and not to tangle it up with whatever else is on the counter. 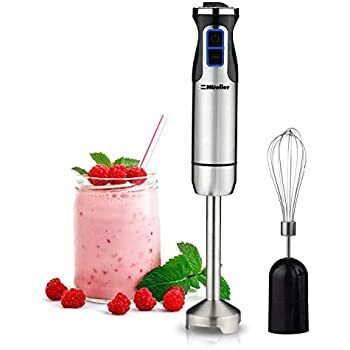 I would be curious as to whether it's feasible to buy a cordless immersion blender, if there is such a thing, although I don't think there could be a battery-operated one as powerful as a plug-in electric one. In my opinion, the unit itself is worth 5 stars. This unit replaced an Oster unit that failed when the blade came spinning out into the pot of soup that I was blending. 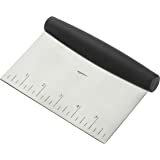 The Ultra-Stick, which cost about the same as the Oster is superior in a number of ways. The first is really a safety feature. When you plug it in a soft blue light glows around the buttons and top reminding the operator that the unit is ready to cut. There is no comparison to the quality. As you would imagine, the mass of the stainless steel Mueller is much greater than my old plastic blender. 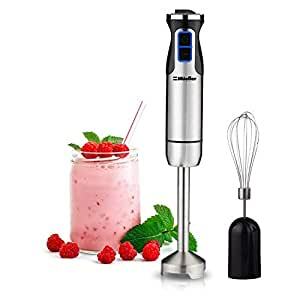 The power is much greater than you would expect for an immersion blender at this price even featuring variable speed control that is effective for both the regular and turbo speeds. Works great...two things I wish were different about it though. #1 It gets very warm after being used for a period of time. 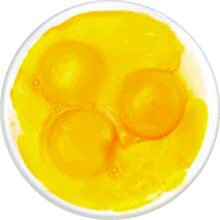 I use it to make my homemade mayonnaise and that takes about 10 minuted to make. 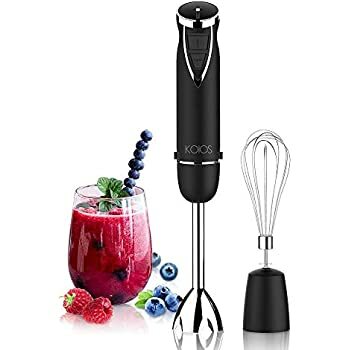 I have found that I can only use this blender for about half that time before it gets too warm and I finish the process with my regular mixer. and #2 My finger gets tired holding the "trigger" constantly. I wish it had a way for the trigger to "latch" so that I didn't have to hold it all the time. Having said all that, it does a great job of blending, is easy to take about and clean, and takes up a lot less room that my other mixer. I am glad I bought it.